Our BEST SELLING elegant, magnetic closure display box preloaded with 14 pieces of each flavor. 14 French Vanilla, 14 Caramel, 14 Hazelnut and 14 Mocha = 56 total Individually wrapped JAVAMELTS. 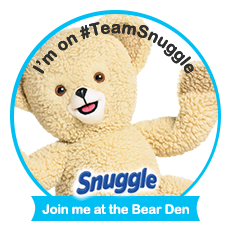 It’s ideal for the home, office or any catered event. It makes a great gift too. 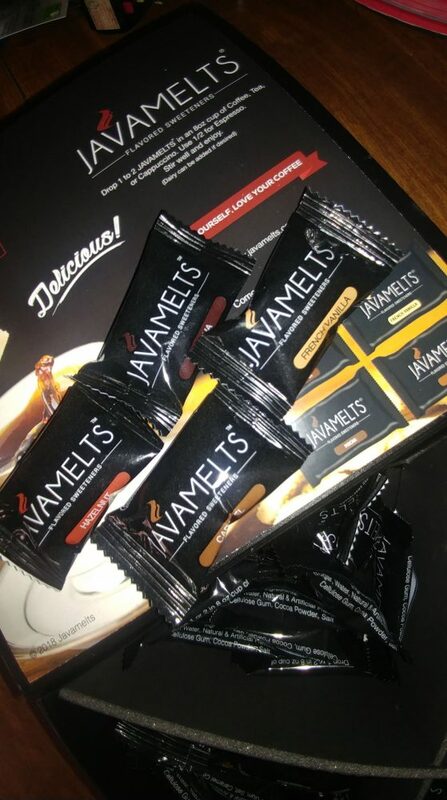 JAVAMELTS are non-dairy, made with real sugar, only 20 calories each, certified gluten free, vegan, non-GMO, shelf stable for over 1 year and are absolutely delicious. In the winter months I find that I thrive on coffee. I enjoy making a cup and just watching the birds feed, but of course it is the nectar that jump starts my slow mornings too. You guys all have those mornings (because I know I can’t be alone) where time seems to be creeping and there are a million things that need to be done. I feel like in the colder months I have those mornings more often. 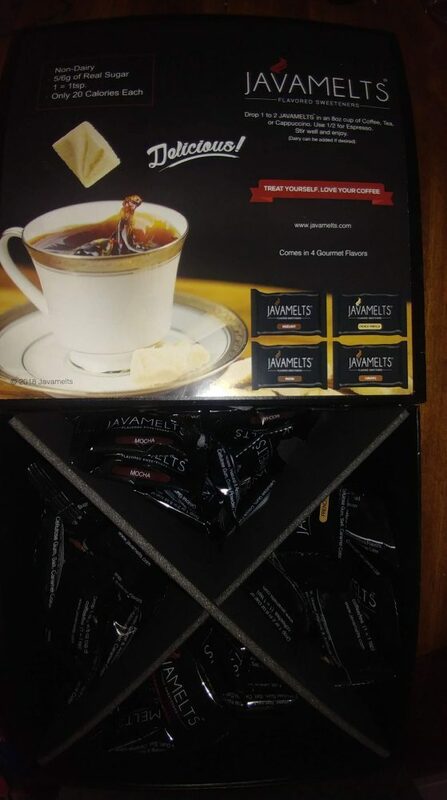 I love that JAVAMELTS® add an extra flavor to my coffee without tons of artificial ingredients. These are easy to use, don’t leave a strange after taste and are my new favorite coffee add-in. I still have to have my milk though. I literally pick my flavor (my toss up 2 favorites are French Vanilla & Caramel) and put 1 or 2 into my cup of coffee. It is so simple. The packs are easy to open, too. 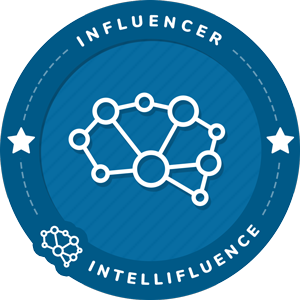 Another huge perk of JAVAMELTS® is that I can toss these into my purse for coffee on the go. You know the ones, cheap gas station coffee with no flavor. I can change all of that now. 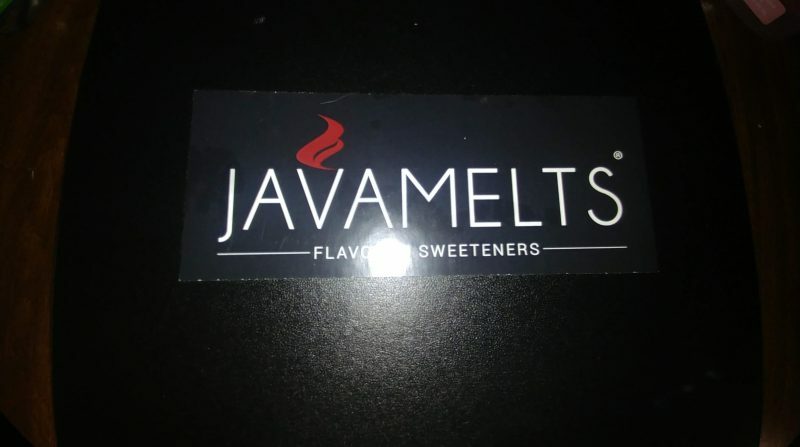 JAVAMELTS® to the rescue. This product will change the way we coffee in our house and I feel that these would make the perfect Valentine’s Gift. Hear me out.. I make a lot of meals here at home and love to spoil my husband. I know that he would love a nice breakfast with some flavored coffee. Or better yet to take a few of these to work for when he needs a boost in the afternoon and some added flavor to his black coffee. 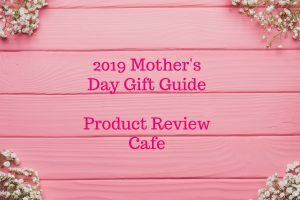 The gift box featured retails for $45 on the JAVAMELTS® website and this is just what the doctor ordered for your favorite coffee whether it be at home or on the go.